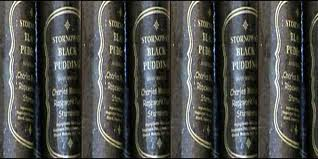 I had always “quite” liked black pudding but Stornoway Black Pudding is something else entirely. I first tasted this on a trip home from Skye. We stayed over in a tiny place called Dornie on the way home and got ridiculously drunk in a local bar. The next morning I was possibly the most hungover I have ever been in my life, but somehow made it down to breakfast. I vividly remember tasting the black pudding on the full scottish breakfast served up to me that day – it was bloody marvellous. It has a slightly purple hue and it is devoid of all these horrid little white fatty bits on other black puddings. It has a smooth smooth texture and tastes devine. Onion and pepper and gorgeous black puddingy puddingness – YUM. It is made by Charles MacLeod butchers in Stornoway http://www.charlesmacleod.co.uk/home. but thankfully you don’t have to travel to Stornoway to get it. I am not a bit fan of delicite buttery cheeses, much preferring those that pack a punch. And my favourtie cheese without a shadow of a doubt is brie. I am not a brie afficiado, but what do know is that it has to be soft and oozy and have that lovely brie tang on the tastebuds. I like my brie served simply with a crusty french baton, and a good bottle of red wine. The best place in my humble opinion to buy brie is of course I J Mellis www.mellischeese.co.uk . 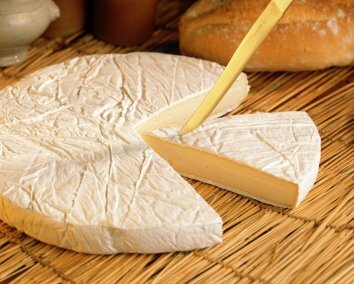 I can recommend Brie de Meaux which is known as the King of Cheeses. 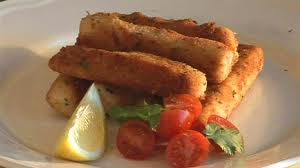 Who doesn’t like fish fingers? I mean seriously what’s not to like? Actually my dad was a fisherman and when I was little he used to tell me they were made of fish heads and eyes so we didn’t really eat them back then. I love them, but it’s the delivery that is important. They MUST be served in a sandwich with white bread and I am unashamed to say the cheaper and fluffier the better. Lots and lots of salty butter spread on the bread (do you want some bread with that butter) . This way when you place the freshly fried (none of this grilling nonsense) fish fingers on the sandwich the butter melts deliciously into the bread – salad cream optional. It’s quick, easy, tasty and nutritious. 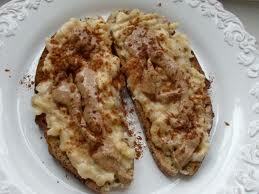 I like to add a wee twist with a drizzle of honey and a sprinkle of cinnamon. As ever my butter usage is liberal to say the least. Enough said. Fish finger sarnie? On my list of Food I Pray Never To Eat Again it shares the honours with curry. Unless it was, maybe, on a slice of toasted baguette with lemon. Maybe. But if and when I find room for a deep fat fryer I will be seriously into goujons – a foodie friend says to use any cheap fish like pollock, and light tempura batter.